I decided to have a few hours ‘off’ last week. 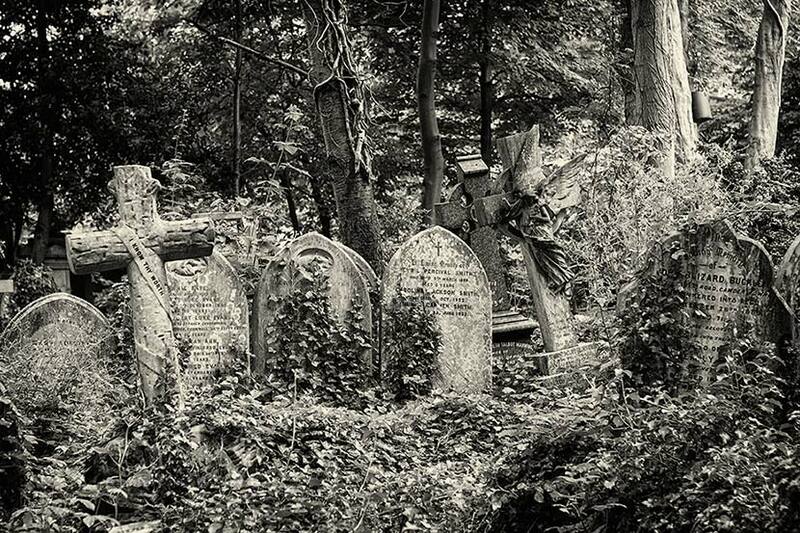 I grabbed the camera and made my way to Highgate Cemetery. It’s somewhere I’ve always wanted to go. 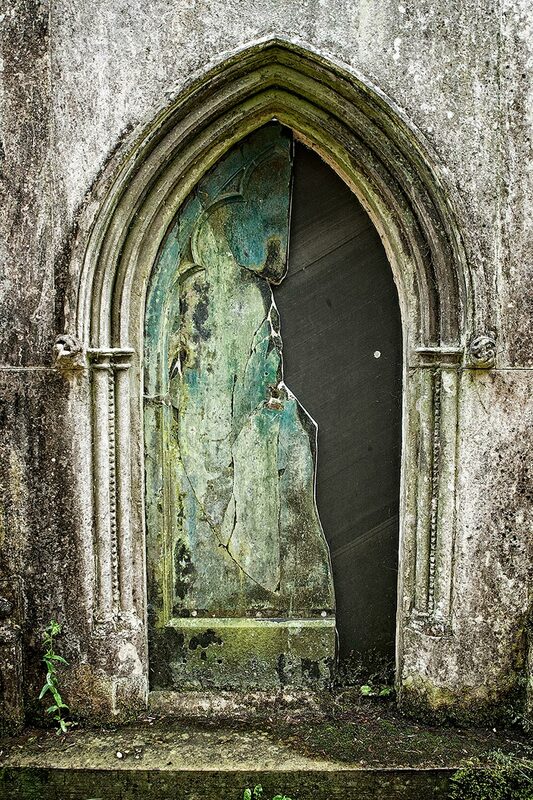 The architecture of a derelict prison I photographed in Barbados was likened to Highgate Cemetery in a book I read about it. This made it one of my must-photograph locations. Many of you will know I have a fascination with anything a bit spooky. Man-made mixed with nature is a combination I’m always searching out. 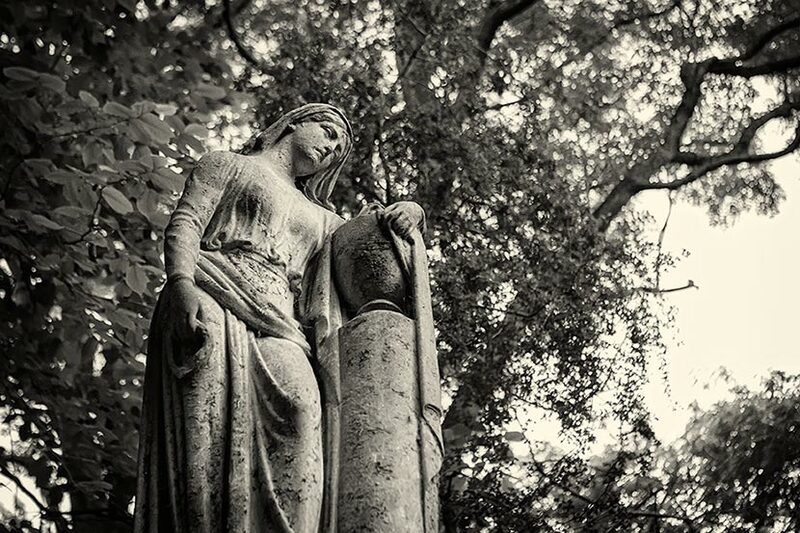 I’d researched the cemetery online as soon as I learned of its Gothic Victorian statues, spires and tombs. One grave, that of Mary Nichols, drew my attention. Mary wasn’t a notable person and died of diabetes and heart failure in 1909. The stone carved memorial on her grave is however, unique. 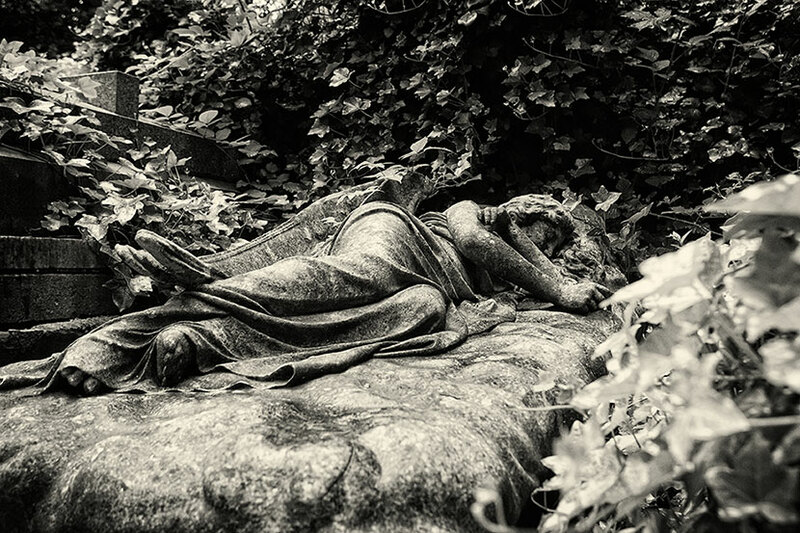 A human-sized angel lays atop a bed of clouds on the grave, a pillow underneath her head and her hair flowing. 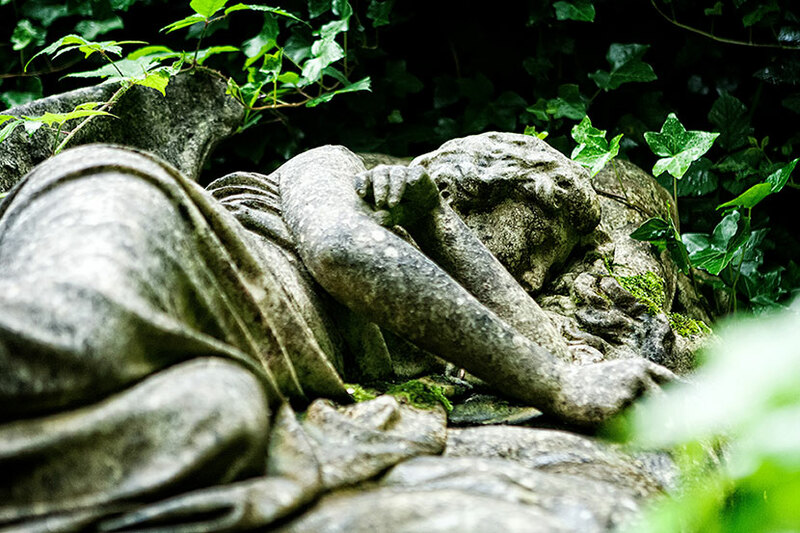 She looks so peaceful among the trailing, creeping ivy. It was a moving moment when I saw her. 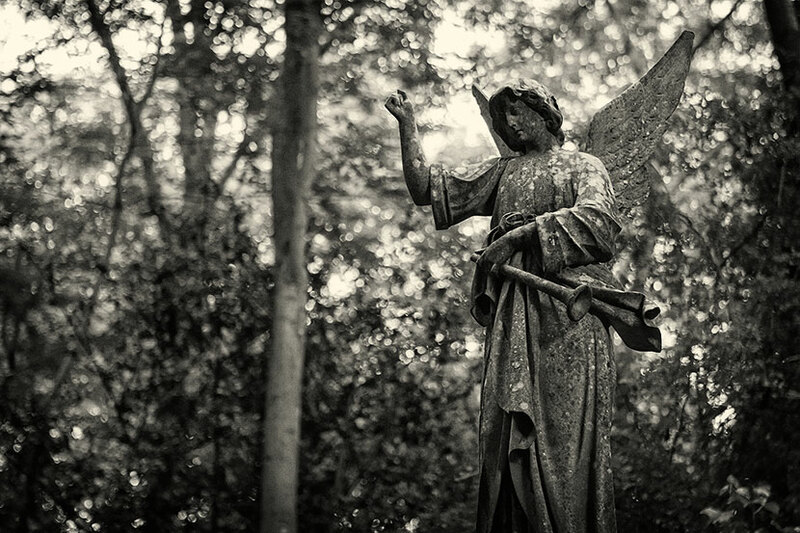 The cemetery had a calm yet somehow foreboding atmosphere about it. 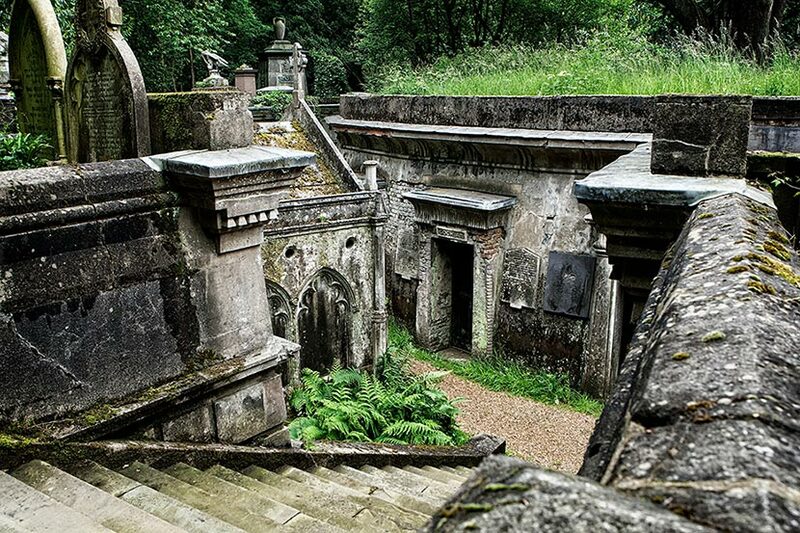 The Circle of Lebanon is a ring of locked tombs holding shelves of coffins within. 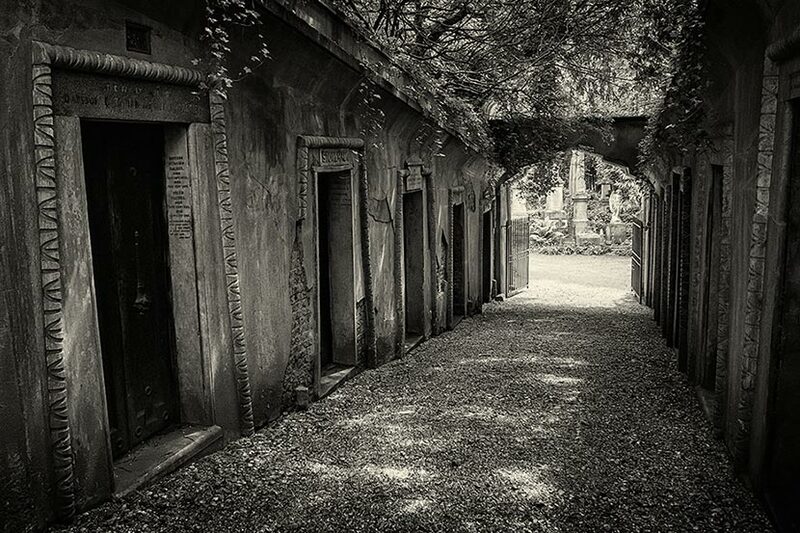 The Egyptian Avenue leads into the circle and has tombs along each wall. 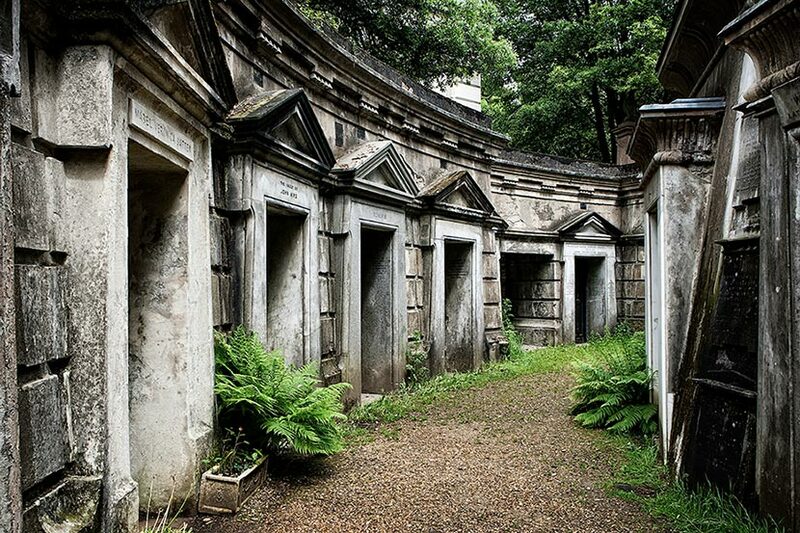 Each tomb has space for twelve coffins and was purchased for a single family to use. Today the tombs also house a very rare, very large breed of spider called Orb Weaver. Thankfully they must have complete darkness and never come out into the light. 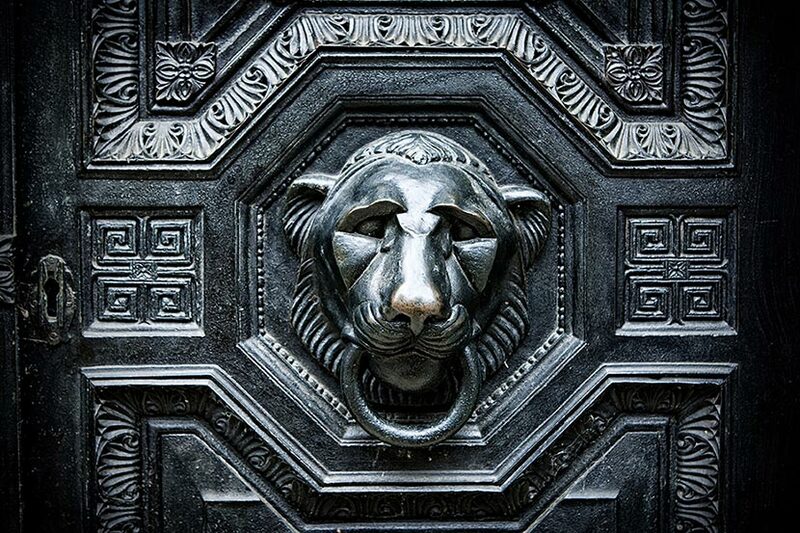 I was fascinated to discover that all of the tombs’ original door keys are still held safely by the cemetery to this day. 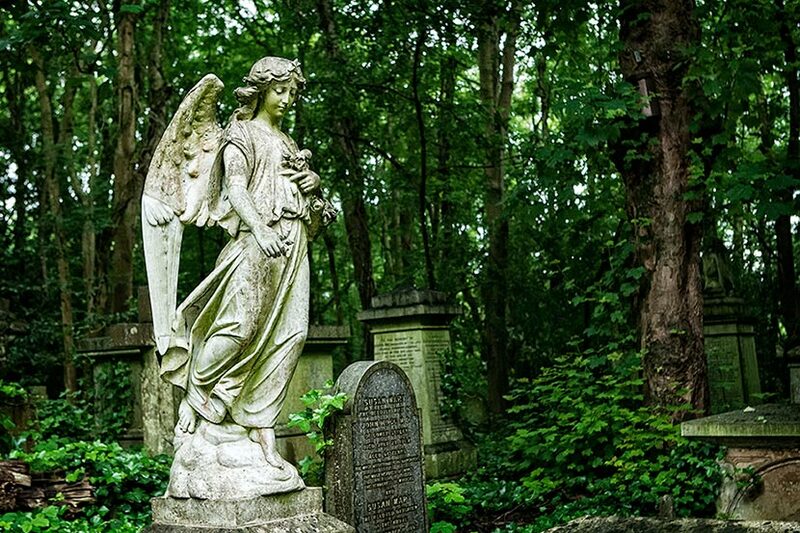 There is a real sense of history at Highgate Cemetery. I was fascinated by the strange Victorian obsessions. I could feel sadness, peace, and a loved the little nod to humour here and there. I know it sounds like a really weird place to want to spend a few spare hours. I assure you that if you do choose to step through the gates you will be entering a world like nowhere you will have experienced before. 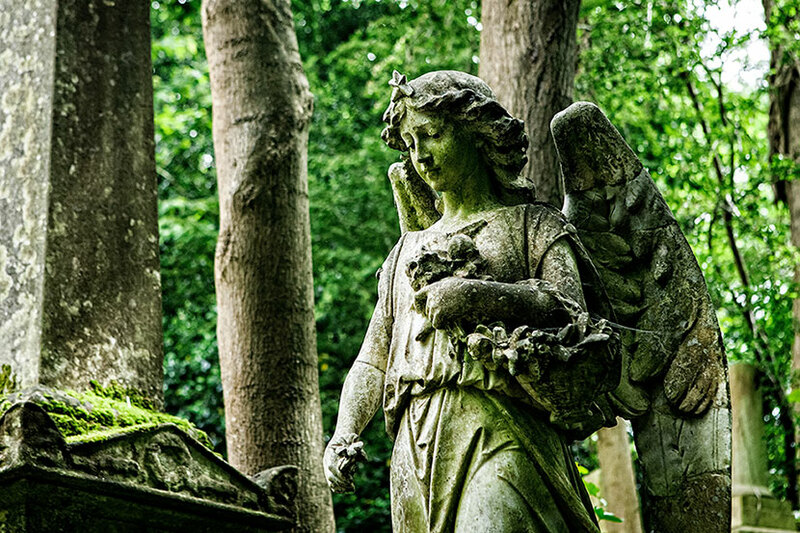 The West Cemetery is the oldest part and can only be accessed as part of a tour. 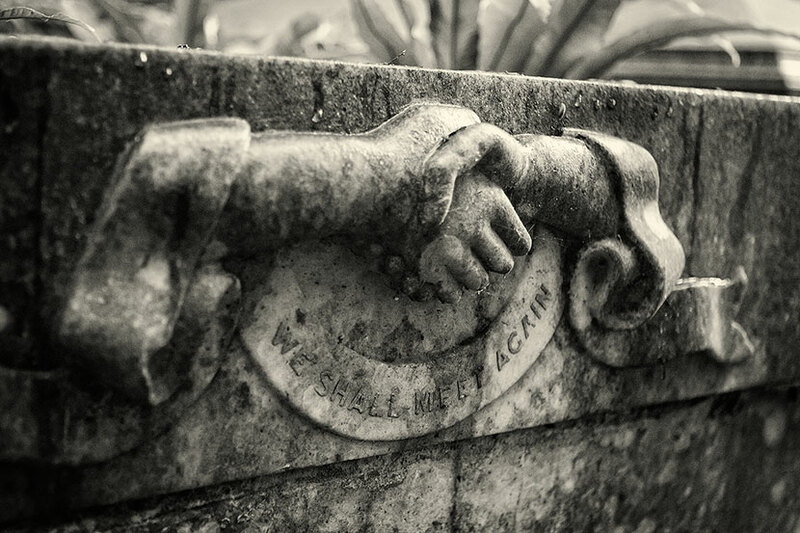 Here are a few of some of my photographs from the West Cemetery.